I hope you're having a great Thursday. I'm cleaning my house and getting super excited because Brian's mom is coming to visit tomorrow! Any time Nicholas gets with his grandmas is super special, so we are pumped. I'm hanging out over at A Royal Daughter today, if you'd like to check it out. Amanda, the lady behind A Royal Daughter, is one of the most inspiring and genuine women I know. I am continually challenged and refreshed through what she writes, and by her strength of character through difficult life circumstances. And if you don't have time to check out the post, but you do have time to say a prayer, will you pray for Amanda and her husband? 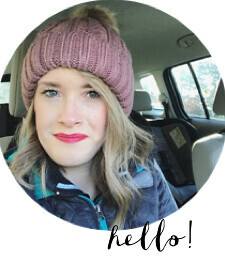 She is very open on her blog about her struggle with infertility, and she recently miscarried their first baby. I can't imagine her pain at this loss, and I know that her family would appreciate your prayers. Thank you, and have a great rest of your day! If you've been looking for a new recipe that's tasty and pretty healthy, come back tomorrow for my latest afternoon snack. Nicholas is enjoying one of these snacks below. If you're wondering, he's sitting on the carpet that is right below our kitchen sink. For some reason it's his special place in the house to eat snacks or bring a favorite toy. I love my little weirdo. Your "little weirdo" is awfully cute!! I am all about healthy lately, so ill have to stop by tomorrow for your healthy snack recipe! Aww... I will be praying for Amanda. :( Miscarriages are hard.